The BRAKEOUT® 2.0 is a silencer mounting muzzle device that is both a flash suppressor and muzzle brake in one. Redesigned for 2014, the BRAKEOUT® 2.0 offers the best of both worlds in a truly compromise-free design. The BRAKEOUT® 2.0 offers outstanding recoil reduction tested to be fully equal to the best conventional muzzle brakes, along with excellent flash reduction performance. 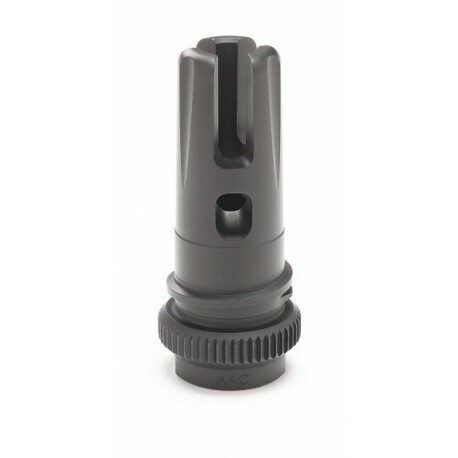 The new symmetrical design of the BRAKEOUT® 2.0 does not need to be timed with shims like a conventional muzzle brake, simplifying installation. 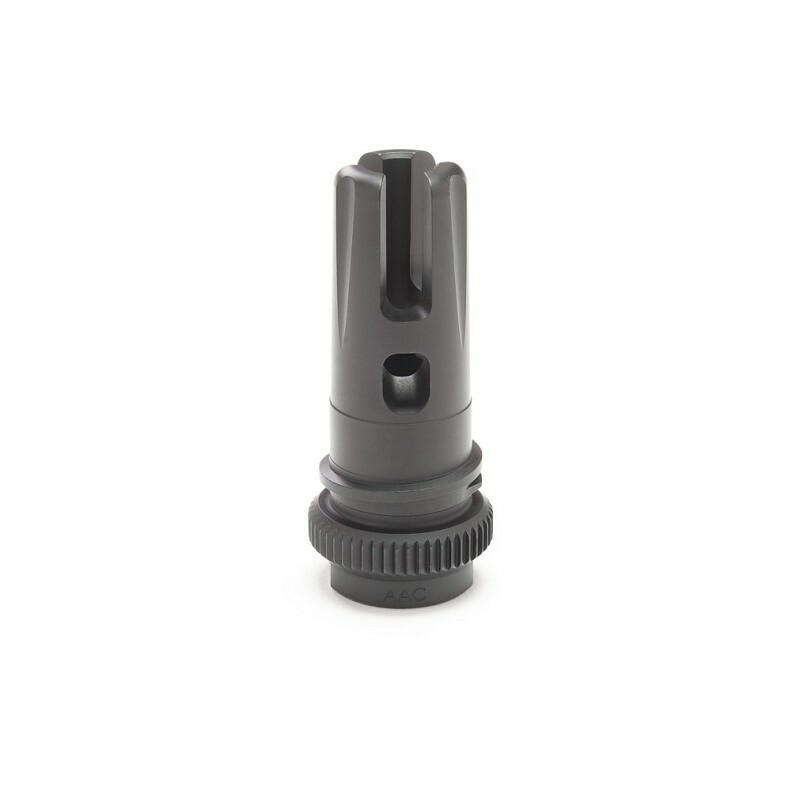 The BRAKEOUT® 2.0 will initially be offered as 51T 1/2-28 CAR15/M4 The BRAKEOUT® 2.0 is fully compatible with the AAC BLACKOUT™ flash hider installation tool.